September is Pain Awareness Month. Did you know that nearly 80% of people will experience back pain at some point in their lives? Or that lower back pain is the single leading cause of disability worldwide? Considering its prevalence, it’s time we start raising back pain awareness. Back pain is experienced by many different types of people, but is more common as you age. In fact, many report that they began experiencing back pain in their 30s or 40s. Your job can also be a factor in whether or not you will experience back pain. If you have a manual labor job, improper lifting or pulling techniques can lead to pain. While those with desk jobs may experience pain if they fail to practice proper posture. It’s more common in those that have poor physical fitness or are overweight. If physical fitness isn’t a priority to you, your back muscles are likely lacking the strength they need to complete daily tasks. If you’re overweight, the added weight stresses your muscles, leading to pain. There are three main causes of back pain: mechanical issues, injuries, and medical conditions. We’ve compiled a shortlist of some common causes, but it is in no means exhaustive. There are steps you can take to help prevent back pain, but there is no guarantee that you will remain pain-free. You can begin by maintaining a healthy weight and quitting smoking. You can also begin a fitness regimen to help strengthen your back muscles, implement a healthy diet, and practice proper posture. When to seek medical attention. Your pain is constant and continues to worsen rather than improve. Your pain is accompanied by numbness or tingling in the extremities. You have a fever, which could signal an internal infection. Your pain worsens at night. There is redness and swelling near the pain. You also have abdominal pain. 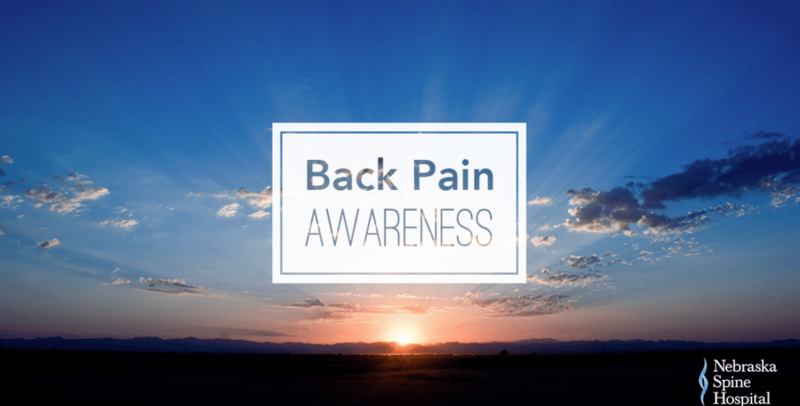 Because it’s such a prevalent type of pain, back pain awareness is extremely important. Please share this information with any loved ones that may be experiencing back pain. If you or a loved one is ready to make an appointment with one of our board-certified surgeons, you can do so here.